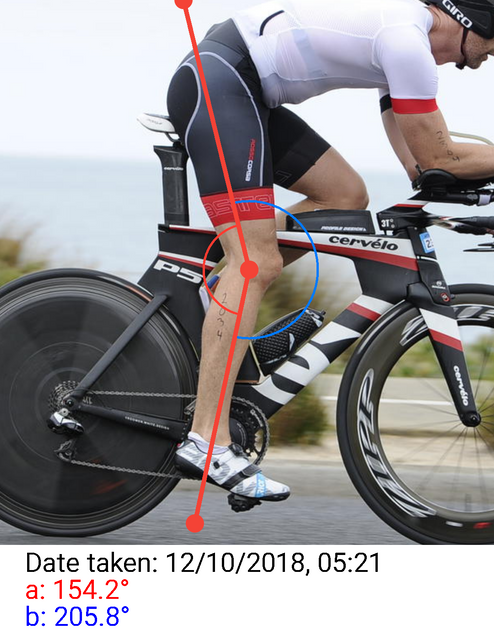 keen to get some perspective on my bike fit. I’m usually in the top 30% of the field but have been experiencing some lower back / upper glute discomfort. Seat needs to come down by a good amount. Knee angle is about 155. Aim for somewhere between 140-150 degrees but since you already have issues I'll try the lower end of that range. So drop your seat about 2cm and go from there. Agreed - seat needs to drop 15-20 mm or so. And the cockpit should drop about the same and maybe 5 mm more. That's going to get you off the High-V.
On top of what these guys are saying getting a seat that let's you roll your hips more would take some of the stress off the low back (not so much arching). aren't we overlooking the obvious that he's on a bike that's too small?? lots of red flags here... you really need to start over. I'd see a good fitter. Your bike is probably one size too small, especially when your saddle comes down and you lose the high-V mount. What saddle are you on? Can you lower your head and ride comfortably? It's a size smaller than I'd prefer, but not too small. It can work. Thanks! I have a 10mm tiled spacer under the arm cups I could remove. Thanks! Saddle is the ISM Prologue... slammed as far forward as possible. Yeah I could ‘turtleneck’ more if I didn’t have the nagging pain in my RHS lower back. if that's the case you're on the wrong saddle, or sitting wrongly on the right one. Anyway ,I'd really just start over... your position is so tweaked that you're not inside the box anymore where small incremental changes and advice would be helpful. Thanks. I’m 6”3’ and a 56cm frame. I’ve previously had a 58cm P2C but felt way to stretched. Even with this frame I have to slam to seat as far forward as possible to get remotely comfortable. What do you observe as the indicators that the frame is too small? The P2C and P5 have dissimilar geometries. It's why buying by size is, almost certainly, a good way to buy the wrong size. In a perfect world, you get a good fit and then buy based on fit coordinates. Before you go nuts with changes, it would be wise to submit for review a video on a trainer rather than rely on a single photo. Hopefully you've seen enough of these threads to know the drill on video setup. You said you had 10mm of spacer under the arm pads which you could remove. It also looks like to have a top cap / spacer under the stem - remove this, the Aduro bar does not require a top cap. That will give you a few mm more drop (and remove those visually annoying gaps between the stem and top tube and between the beard and brake covers! In fact do this anyway...). Was the swim or T1 a bit long? Lot of +30 min swims!